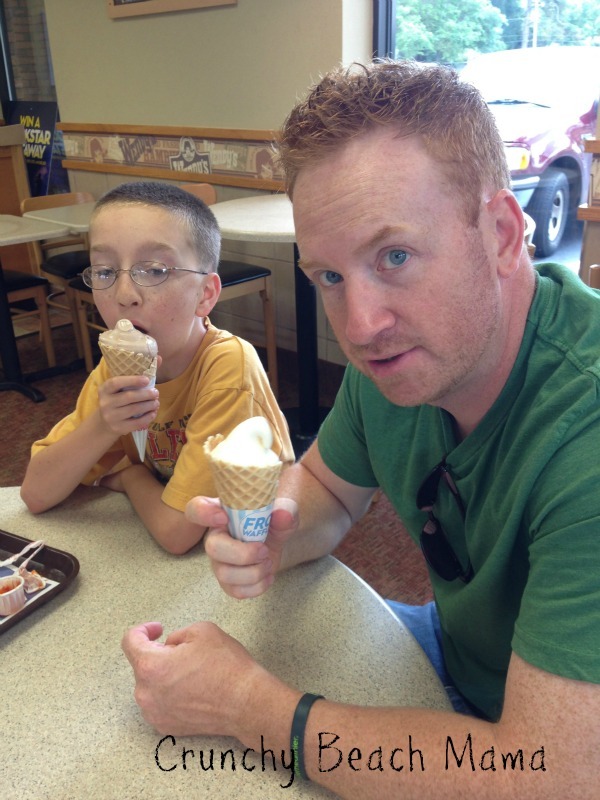 Wendy's Frosty Waffle Cones! | More Crunchy Beach Mama! We are an ice cream family! Every single night my kids ask for it. Not that they always get it, but we sure know every joint in town. 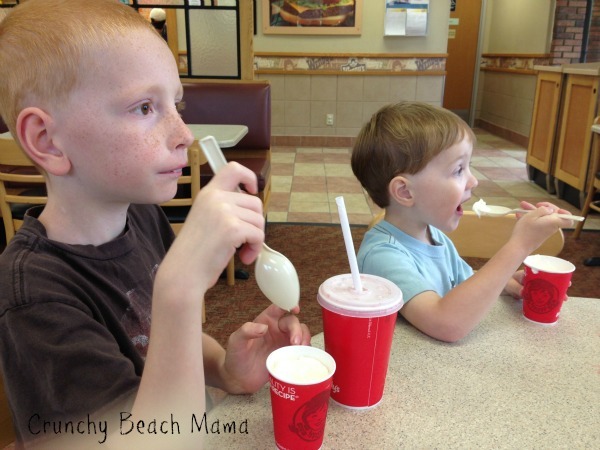 The Frosty’s at Wendy’s are a nice summer treat. Hubby loves the Frosty Float with root beer and he is happy they come in vanilla flavor now. Me? I love the original Frosty made with fresh milk, rich cream, and cocoa. 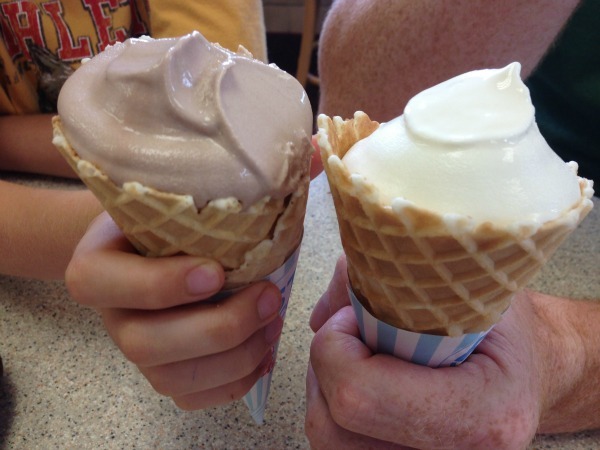 This summer they have introduced The Frosty Waffle Cone! Yum! I love waffle cones! The Frosty has been around since 1969 and they have expanded the line to include the original Chocolate, Vanilla, Frosty Shake (Strawberry, Chocolate or Caramel), Caramel Apple Frosty Parfait, OREO® Frosty Parfait and Frosty Float. I like that the kid size is pretty small. PERFECT for my boys. The Frosty Waffle Cone is available at all Wendy’s restaurants in North America for a suggested retail price of $1.49. Join the more than 2.5 million fans in the Frosty fun on www.facebook.com/Frosty. Do you love the Frosty? I was sent gift cards to help with this review. All opinions are my own.